Job hunting has transformed over the past few years. With the introduction of the internet, it is now easier than ever to post and search for job opportunities from around the world. Several websites have since been created to make it even easier. Zip Recruiter is one of them. Using Zip Recruiter, you can increase your company’s visibility for hundreds of highly qualified potential applicants. To learn more about how you can start posting job openings on Zip Recruiter, keep reading below. 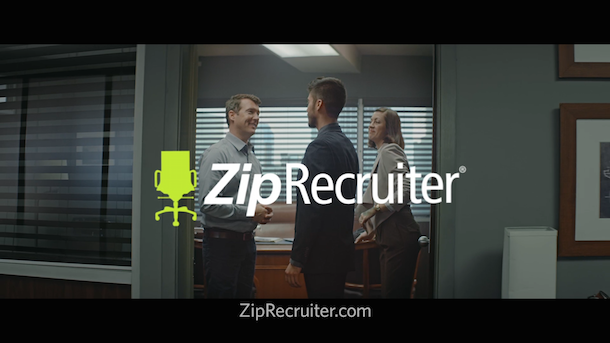 Zip Recruiter is an excellent resource for both job seekers and employers. To share your job openings on this site, you will have to start by visiting ZipRecruiter.com. There, you can find the “Post a Job” button located in the upper righthand corner. When you click this, you will be redirected to a new page that asks a simple question about your company. Answer and click “Post Jobs for FREE” so that you can create your very own Zip Recruiter account. After you click “Post Jobs for FREE” you will be taken to a free employer account form. This will ask for basic information, including your company name, title and business address. Additionally, this is where you will tell Zip Recruiter how many jobs you need to fill. Once you have filled out all of this information, you can click “Continue” and move on to step 3. The next step to creating job listings on Zip Recruiter is to fill out the job information. After creating your account, you will be brought to another form where you can enter the job details. To fill multiple positions, you will need to create individual postings for each job. This is where you will enter specific information such as the job title, salary, benefits and responsibilities. Remember the importance of branding as an employer when posting job openings. When you have finished inputting this information, you can choose to save the job posting as a draft or post it to the public. Next, you can move on to step 4. Before you can fully utilize Zip Recruiter, you will need to sign up for their free trial. The free trial gives you complete access to the site’s many job listing features. This is an excellent way to test it out before you commit to a premium account. Additionally, this will allow you to view and interact with potential employees so that you can begin setting up your interviews immediately! After you have posted your job listing and signed up for your free trial, all that is left to do is wait. On the Zip Recruiter dashboard you can view submitted resumes, rate candidates, and complete background checks. Once you have your ideal candidate, set up a panel interview and see if they are right for your company! Zip recruiter offers tiered pricing to meet the needs of all different sizes and types of businesses. The job listings site offers three pricing tiers; starter, team and enterprise. All price tiers provide 3 active job slots, full customer support, unlimited candidates, candidate screening interviews, mobile optimized job pages, branded career pages, social network integration and new candidate and resume database alerts. However, only the enterprise level provides TrafficBoost tools, which promote your job listing in Zip Recruiter marketing emails. Speak directly to the company to learn more about tailoring a plan and its price to fit your business needs and budget. Zip Recruiter is a job posting website that can give you access to thousands of potential applicants. Their free trial is a great way to take a test run of the site while also getting your job opening out there. Give Zip Recruiter a try today. If you guys really need help hiring, call me! My software through my company does all that without paying a bunch of recruiters!! And, this is just a job board basically! It doesn’t actually do recruiting for you!